“We train thousands of people from around the world in our facility each year. While here they are usually in classes, so we wanted them to get a feel for the beautiful scenery that our 137,000 acre ranch offers . 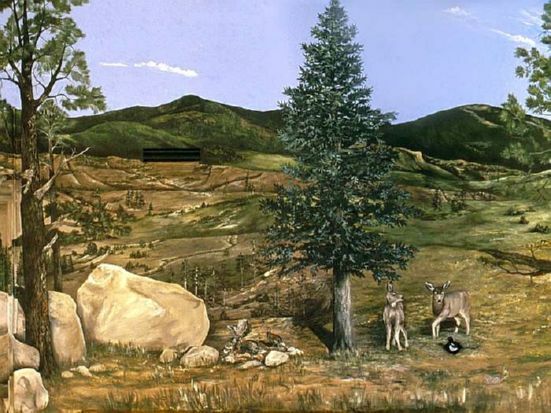 . . to see the different mountains, different landscapes, and different animals. 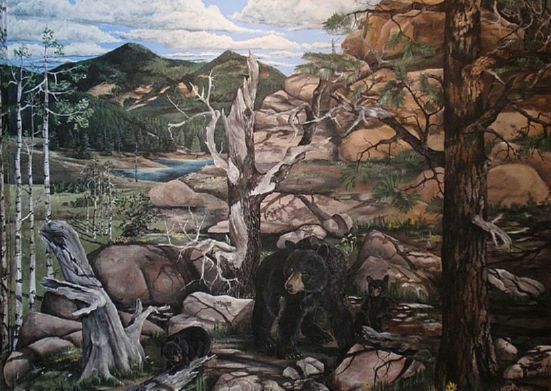 We’ve commissioned Melinda three different times to do murals for Philmont, to bring the outside in, if you will, to show off the different parts of the ranch. 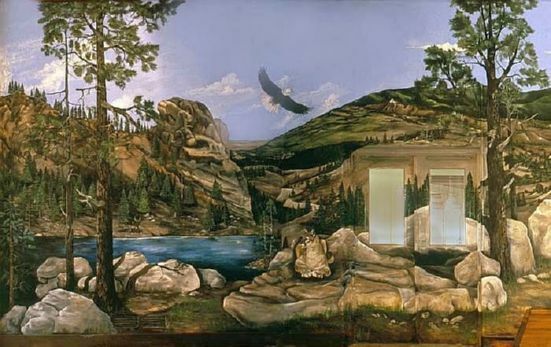 The work she has completed for us includes: 1) a 500 square foot, 8-panel series in our dining hall facility, featuring the American Bison, 2) a 1,500 square foot mural in our Assembly Hall and 3) a 700 square foot “surround sound” piece, which is a 360 degree mural in one our entry halls that captures the view from atop one of Philmont’s mountains and contains 22 different animals that live on the ranch. The neat thing about Melinda is that she takes the ideas people have and really makes them count. She doesn’t just design something and paint it like some artists, she’ll ask you what you think, show you ideas and include you in the process. She not only understood what we envisioned . . . she took our ideas and expanded upon them, yet at the same time made sure that it was what we wanted. Melinda is compassionate and caring. . . she is a fantastic artist and I would love to have her do additional work for us. We are trying to decide what other areas we want to show off next."